When it comes to the US-290 corridor in Northwest Houston, traffic has been a longtime headache for the area’s commuters. 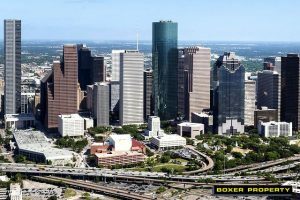 Exacerbated by the area’s rising population base (expected to almost double by 2040) and the ongoing US-290 construction, local property owners are ready for some much needed change. Great news! The soon to be completed US-290 expansion project will provide major relief to the slowdown and more projects may be on the way. Many changes to Houston highways are coming soon. 610 West Loop/Southbound at Frontage Rd. Although progress is happening, the US-290 expansion has seen its share of delays. Othon refers to many challenges as the cause for these delays. Utility relocations and right-of-way issues had to be ironed out before workers could proceed. The US-290 team did, however, acquire the mandatory 373 parcels earlier this year. Dallas to Houston Bullet Train? What do the locals think ?